The Vogels are so dear to my heart. I wish I knew John Vogel personally. He and his family and dear little Gabby have touched me so much and so deeply. I have saved this particular video as the “Gabby approved” version, (as there were a few posts of it on Facebook, etc). I know that every time I watch it, my tears will flow again. And despite that, my heart will also be somewhat lightened by the love shown and the sheer truth of the telling of such a terrible situation. John shows such dignity and authority when he speaks. Dear Vogel family – You have such humanity and love. Love to you all, all the way over from London, UK. Your family is in my thoughts, I cannot imagine losing someone so dear and so young. I hope that you are healing and remembering the good times with your lovely daughter. I am heartbroken thinking about going through that with anyone I know. 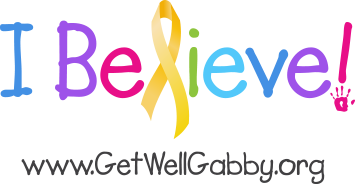 I am only eighteen but I worry every day for the children that I may have in the future; I only hope that I can have children as beautiful and sweet as Gabby seemed to be. Stay strong, you will be in my prayers!